The study upon which the article is based was conducted by Edzard Ernst, who is the co-author of one of my favourite books ‘Trick or Treatment: Alternative Medicine on Trial‘, and as he notes it is likely that “due to under-reporting” the cases he discovered represent merely “the tip of a larger iceberg”. I suspect he is correct however suspicion doesn’t quite make up for a lack of evidence and at present the evidence suggests that the health risks associated with acupuncture treatments are not great enough to warrant much concern. The proper sterilisation of needles and sufficient training so that the application of acupuncture needles is done without causing injuries are certainly important but the relatively low mortality rate reported in the study does not seem to suggest that there is actually a significant problem in these areas. Unfortunately I cannot yet get access to the full article, even with Oxford’s university subscriptions, so I cannot really comment about how Ernst presented his findings but from the Guardian summary (which seems to be based entirely on information from the abstract) it seems that he acknowledged that there were only a “handful” of cases across the four decades from the US and the UK. A handful of deaths from what is a pool of millions or at least hundreds of thousands of treatments would seem to suggest that the standards of acupuncture treatments, at least in Western countries, are high enough to make them quite safe rather than something deserving of an alarming headline. Criticising acupuncture treatments on the basis of 2 deaths a year is also eerily reminiscent of the arguments used by anti-vaccine proponents who present terrifying statistics about lethal adverse reactions to vaccines devoid of the relevant context of how rare such cases are when considered against the amount of people vaccinated every year. Furthermore, the abstract of the article notes that from the 86 cases identified “many are incomplete and causality may therefore be occasionally uncertain” so the number of deaths that can be confidently attributed to acupuncture actually appears to be less than 86. The point is that bad arguments are bad arguments whether they support a rational position or not and endorsing bad arguments is just not a good strategy for those who care about efficacy and evidence. This is due to the fact that ultimately using such arguments can undermine a well supported position when the flaws in logic are identified and pointed out. Using claims, regardless of their validity, to support a predetermined position is also not very rational and it makes it easier for advocates to dismiss other more relevant criticisms as being ideologically motivated and therefore tainted. Contrary to the Guardian headline the actual figures quoted seem to show that safety concerns are not a particularly good reason to oppose acupuncture treatments as lethal adverse reactions to acupuncture treatments actually appear to be extremely rare. The reason to oppose, or to at least be critical, of acupuncture treatments is that they have not been able, in properly controlled trials, to produce any beneficial effect beyond that demonstrated by similar placebo treatments. This is all the reason an advocate of science or evidence based medicine should require to be wary of acupuncture. Inventing or overstating the health risks just isn’t necessary as not all alternative treatments that are ineffective will turn out to be actually harmful (most homeopathic remedies being a good example). A legitimate potential danger with acupuncture treatments is that they could prevent a person from seeking some other proven treatments for serious injuries or illnesses. However, I remain unconvinced that this is the case, as from my own experience with acupuncture it seems that the majority of people using it, at least in the UK, are doing so for pain alleviation or to address niggling back/shoulder/muscle problems. Nebulous and non-specific pain is notoriously difficult to treat and thus it doesn’t seem likely that acupuncture treatments would typically be preventing people from getting some extremely effective therapy. For instance, I doubt that acupuncture treatments are typically used as an alternative treatment by say cancer sufferers- although I also have no doubt that there will be isolated examples of this occurring (if anyone has statistics or studies that suggest this is more common than I imagine otherwise please mention them in the comment section). My problem with the article is not ultimately that is sensationalist and misrepresents statistics but that it seems (judging from the comment section and some facebook remarks) that those who would be very critical of these kind of arguments in another context are willing to ignore the issues with the article because it presents a conclusion they agree with. Rationality and concern for evidence cuts both ways and it is worth recognising that is not just alternative medicine advocates who are capable of misrepresenting statistics and over hyping risks. While the headline is sensational (which is to be expected), the article was pretty straight reporting. It quoted Ernst, “These fatalities are avoidable and a reminder of the need to insist on adequate training for all acupuncturists.” This summed up the tone of the article. That reads a little differently in context. A straight recitation of facts. You claim the article was “criticising acupuncture,” but I saw no criticism by the Guardian or Ernst. 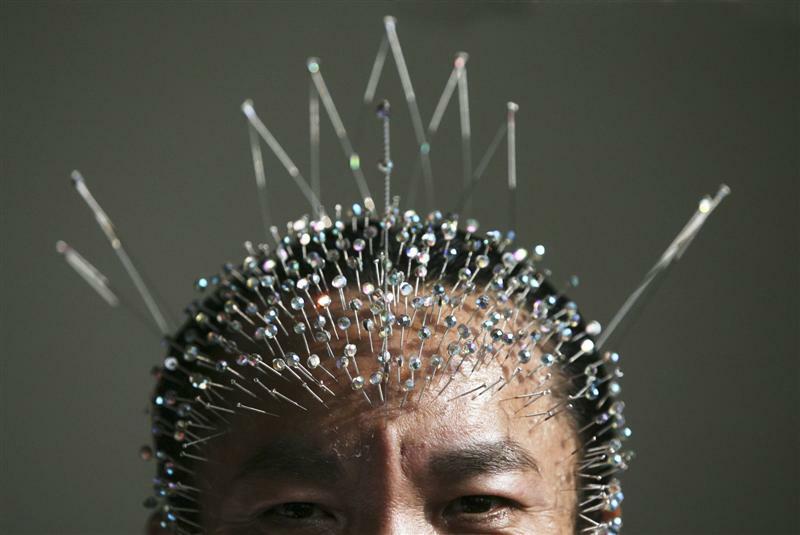 There’s no conclusion, or even suggestion (save the headline), that acupuncture is not relatively safe. The take-away from the article is that acupuncture is not perfectly safe, and that practitioners need adequate training. I think we’re missing the larger point here – that there is no empirical evidence that acupuncture has any efficacy beyond placebo. Twiddling my thumbs is relatively safe, but I wouldn’t count on it to help my back pain. Wait a second… it’s working! Acupuncture is a very save form of treatment when performed by a licensed and trained acupuncturist. About 195,000 people in the U.S. died due to potentially preventable, hospital medical errors from 2000 – 2002 according to a new study of 37 million patient records. (Released by Health Grades). Additionally to the deaths, 1.14 million patients suffered a “safety incident”. I practice acupuncture for over 18 yrs and on myself for about 21 and besides a very rare bruise, only good and great things happen to my clients. In the USA needles are much smaller and thinner than in Asia and acupuncturists do not put them as deep in the USA as well. I personally practice master Tung’s Acupuncture style where needles 99% of the time placed on the extremities for better results not on the torso. Seek experienced practitioner like in any other field. Acupuncture is a great alternative to harmful drugs.